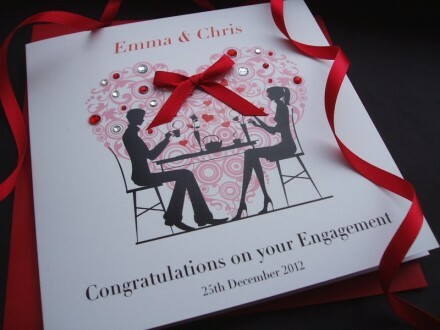 A gorgeousl card for the happy couple. This card features an image of the happy couple dining in style and is finished with red and clear diamantes and a large red satin bow. to ensure it arrives in pristine condition.